The F5 Funnel Cloud blows all other cartridges out of the water with its huge capacity, no-clog airway, and intuitive design. 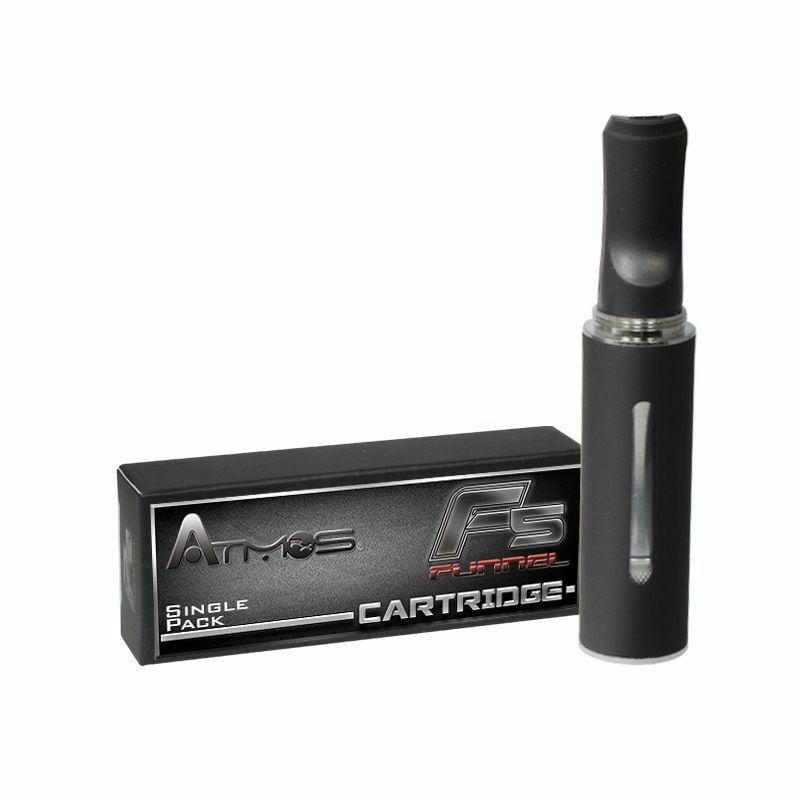 The F5 fits all major vaporizers that use 510 threading, including the popular Atmos A-Pen, and it eliminates the two biggest problems plaguing pen vaporizers today, clogged airways and residue dripping onto the battery or other electronic components. The large chamber on the F5 cartridge allows you to easily load your pen vape once before heading out to tackle the day. Carrying essential oils, botanical concentrates, or e-liquids with you can be a huge pain, so the oversized chamber really adds a huge advantage over your typical cartridge. Not looking for 510 threading? The F5 Funnel Cloud Cartridge also comes in 710 threading.